Australia’s peak boating body, the Boating Industries Alliance Australia (BIAA), has called on the Federal Government to explain why the creation of more than 40 new marine parks, encircling the nation, is required to protect the environment, and to demonstrate a sincere commitment to consulting with the Australian population on its plans. "The Federal Government has heralded its ambition to lead the world in environmental protection, while at the same time denying Australians the right to go boating and fishing, with its announcement that it will create the largest marine reserve system in the world," said the BIAA in a press release. 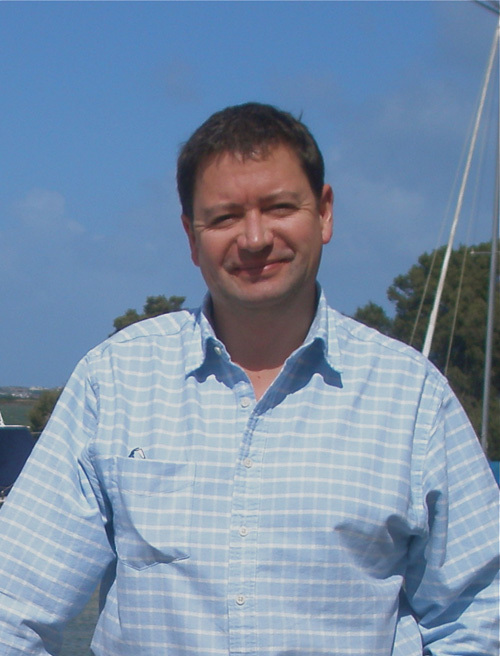 BIAA general manager Nik Parker explained: "There is no scientific evidence to support the marine reserve system as planned, as acknowledged by Federal Environment Minister Tony Burke. The plans announced… seek only to placate the environmental movement, led by international lobby groups intent on controlling Australians’ everyday life. "The announcement contains no plans on how to manage the great swathes of ocean soon to be declared off-limits to Australians and no explanation of how any measure of benefit of this action will be determined," he said. The BIAA said much had been made of the more than 485,000 submissions to the recent public consultation on plans for the Coral Sea marine reserve network, but without acknowledging that more than 98 per cent of these were template submissions from environment lobbyists, with an undetermined number from faceless overseas activists. "The Minister has reported that more than 250 meetings have been held with stakeholders across Australia and more than 1950 people engaged directly with the consultation," the group added. "But now, the Australian population — and even the international lobby — is to be denied the opportunity to review and comment on the plans the Minister has released," said Parker adding, "only the option of supporting or not supporting the Minister’s plans is permitted — his own statement declares there will be no negotiation and even concludes that the marine reserve network is expected to be declared by the end of the year." "This is not consultation this is a misuse of power and will lead to disastrous results for Australian communities, businesses, recreation and everyday life. "The plans have changed dramatically since we last saw them publicly, and we have no explanation as to how the new areas, swallowed up by green-zoned marine parks, have been determined. The only option we have is to vote ‘no’. We have tried to negotiate throughout this lengthy process but now have been told our advice is not required," he added. Given the substantial changes to the proposed plans, the BIAA said the Federal Government should embark on another round of full public consultation to ensure the views of all groups can be considered in these important decisions. "Any notion of the Minister making a declaration on the Commonwealth Marine Reserve Network and specific marine parks and zoning within the next few months is flawed and invalid," said Parker. "All stakeholders, and particularly the Australian public, need to be fully appraised of what the Minister has announced and be given a legitimate opportunity to examine and comment on the plans that will determine the future of their boating and fishing in Australia." The BIAA said it believes the Federal Government has a chance to provide a superior environmental, economic and social legacy for all Australians through the Commonwealth Marine Reserve Network and bioregional planning process. This, it said, can only be achieved by developing a network of reserves, which are clearly and unequivocally based on documented and credible scientific evidence. "Pandering to the unjustified advocacy from foreign multinational environment lobby groups has the potential to do irreparable harm to coastal communities around Australia with no demonstrable or sustainable conservation benefit," added the BIAA. 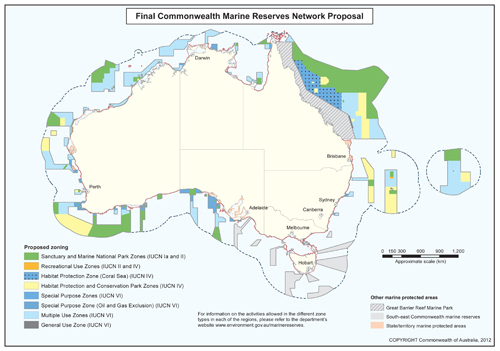 Commonwealth Marine Reserve Network can only be achieved by developing a network of reserves, which are clearly and unequivocally based on documented and credible scientific evidence.